With towering volcanoes surrounded by lush terraced rice fields and staggered pagodas, it's no wonder Bali is often referred to as heaven among visitors. The tropical island enchants with its dramatic dances and colorful ceremonies, its arts and crafts, as well as extravagant accommodations and thrilling nightlife. Learn more about highlights going on on this island in August. You'll be amazed at how many different types of travelers revel in this paradise and surprisingly, Bali rarely disappoints. Amongst the best island destinations worldwide you will always find the ‘Island of the Gods’ under the TOP 10! 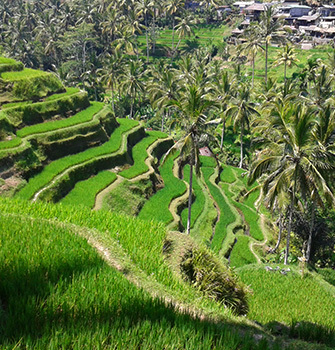 With August being the busiest time in Bali, there is an ever increasing number of visitors each year. Book your accommodation far ahead as most places are occupied during these days. This may include the reservation for a table in your favorite restaurant or Spa. 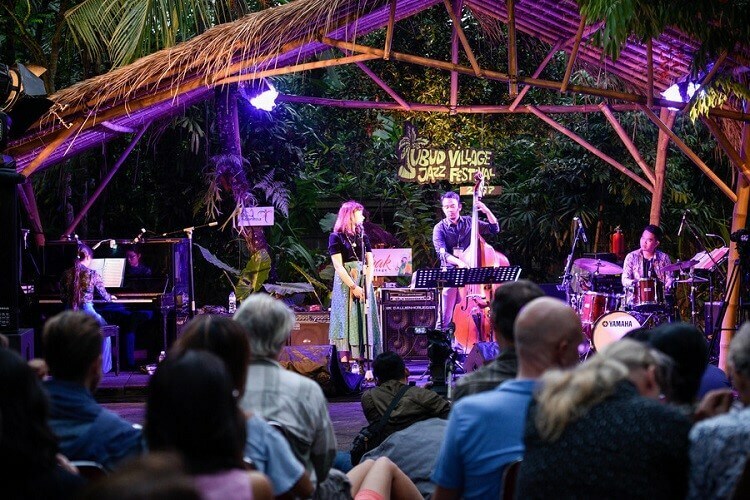 This year in mid-August, at the weekend of the 10th and 11th the community based Ubud Village Jazz Festival is back for its 6th edition. And once again it is bringing together an exclusive lineup from artists both national and international. 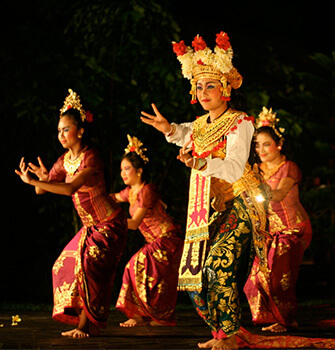 The festival is situated in the artistic surroundings of the cultural capital of Bali in Ubud. With the theme of “Freedom of Expression”, this year’s lineup has confirmed some of the world’s best musicians to perform, including Benny Green Trio from the US, Gerard Kleijn from the Netherlands, Insula from France, A Fuzz from South Korea, Sebastian Gramss’ Fossile 3 from Germany, as well as Indonesia’s very own Ade Irawan’s Good Fellas, Salamander Big Band, Tiyo Alibasyah and many more. The open stage will take place at the Arma Museum Garden. 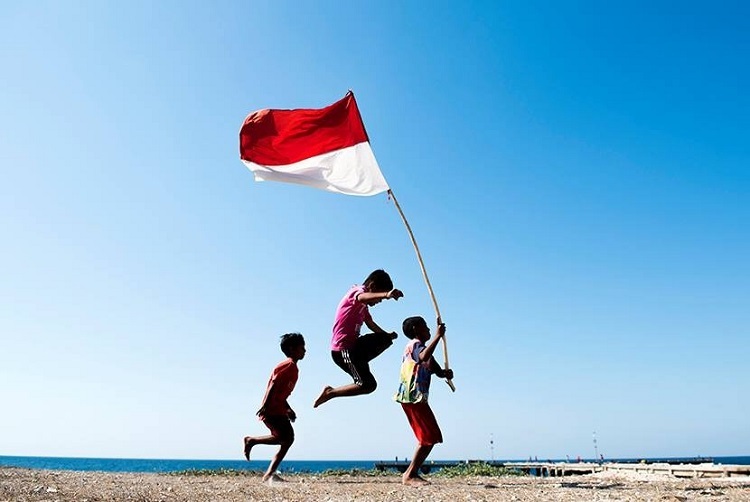 Indonesia proclaimed their Independence on August 17th 1945 from the Dutch, so this year the whole country celebrates the 72nd year. You can’t miss it: with numerous red and white flags along the street sides and exciting events throughout the nation. The festivity starts in the morning of the 17th at the presidential palace in Jakarta and is followed by flag ceremonies and amusing competitions in the towns and villages. Think about contests like pole climbing, rope pulling and eating competitions. Legions of school kids’ march with enthusiasm through Bali´s main roads and lots of fireworks are shot off. Traffic is coming nearly to a halt while the parades are blocking the streets. Also expect delays on the days before because of the rehearsals. So if you plan a trip start really early or even consider that staying overnight in a more rural area could be an option. When you are planning to watch the celebrations, just ask your hotel or accommodation about the nearest and best places to enjoy. Don´t forget to check your favorite restaurant for menu specials and Independence Day promos, they might feature national culinary delights. For the 13th time the Sanur Village Festival is taking place from August 22 - 26, 2018. 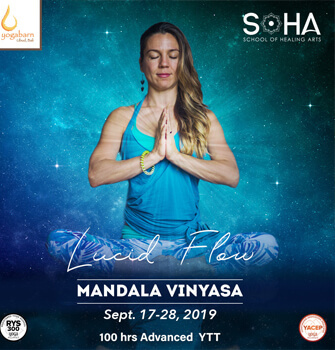 Based on the recent volcanic activities of Mount Agung the theme will be ‘Mandala Giri – The new Spirit of Heritage’ which literally means circle and mountain. 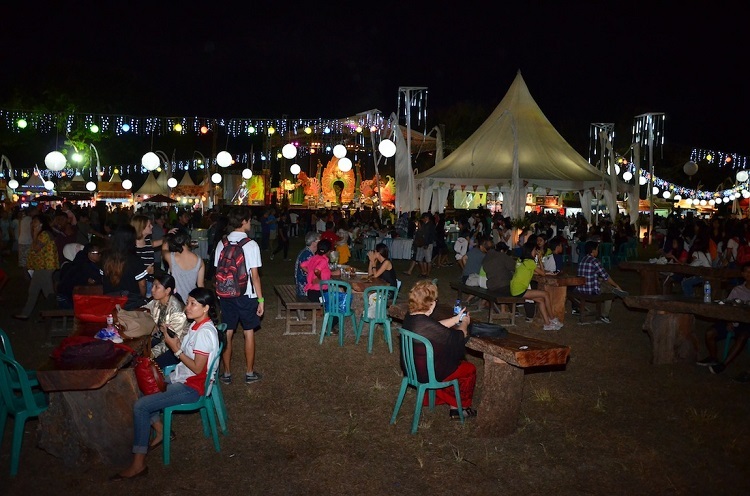 Bali´s beautiful community gathering is held at Pantai Matahari Terbit Sanur and the beaches around. This year´s festival continues with popular highlights from previous events, plus new added activities. There will be a massive selection of Balinese heritage food stands and of course international treats for all food lovers. The sports events kick off with the Sanur Beach Run and feature yoga, a surf competition, cycling tours, a golf and fishing tournament and many more. 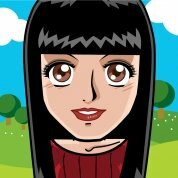 Find hidden gems at the bazaar and for all fashion victims during the various fashion shows. Further there will be big kite festival, art&craft expos, music, horticulture, culinary challenges, tours, beach clean ups and an environmental awareness program. Suitable for all ages the event attracts both local Balinese and visitors from all over the world. 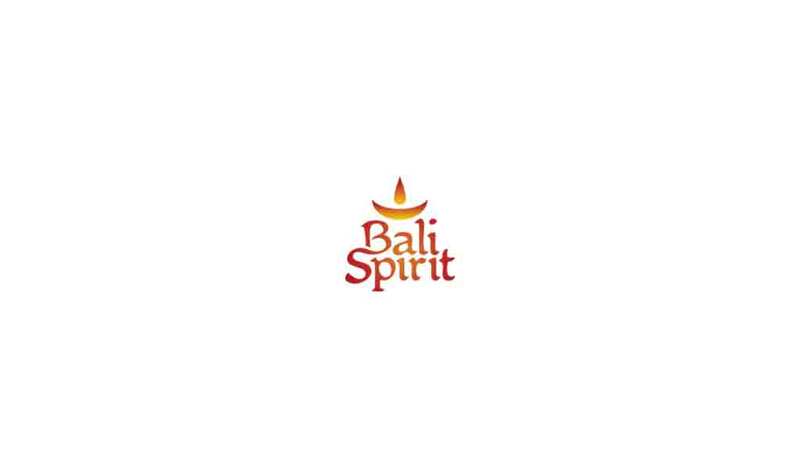 Bali´s weather is suitable for leisure and pleasure almost all year around. The tropical Island experiences only two seasons: the rainy season from November to March and the dry season from April to October with less rain and humidity. 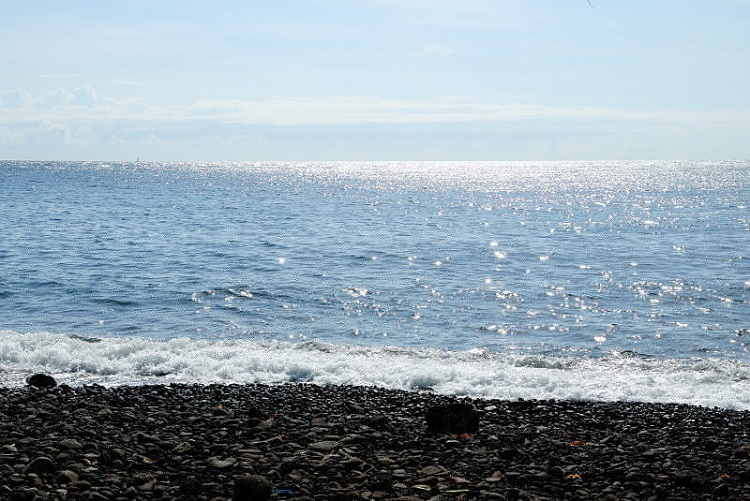 For all beachgoers the Balinese ‘Summer’ is ideal as the beaches are much cleaner and a light breeze is blowing during daytime. 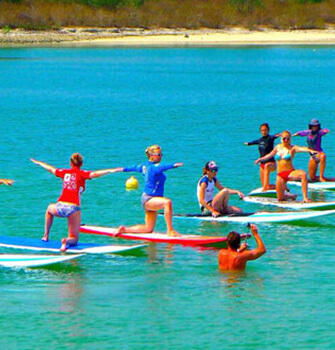 So sunbathing, Yoga at the beach and many water activities by the coastline are all fun in the sun. Especially for surfing, snorkeling or diving this is the right season to visit, as the conditions are superb. Expect good swells, no wind in the early mornings/ late evenings and shallow water completed with blue sky. In the high tourist season when it’s so busy, you can find refuge in some hidden paradises in North and central Bali. The quieter parts of the island like Amed and Lovina Beach or the beautiful lush villages with their stunning views around Ubud are the answer if you are seeking for relaxation and the ‘original’ Bali. 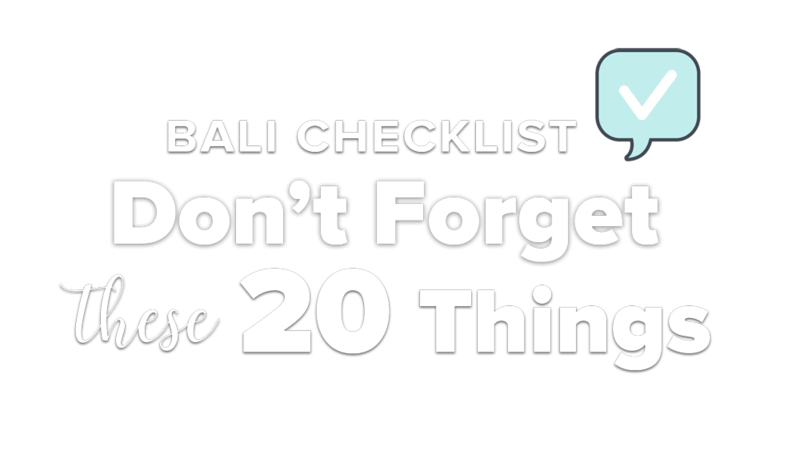 You would like to know what to pack for your trip to Bali? 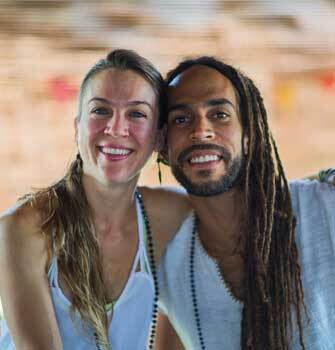 Register for our newsletter and receive a free ebook including a pack list as well as regular news on Ceremonies, Top Events, Retreats and Offerings in Bali and a discount book with discounts for Amazing Bali Retreats, YTTs and Holistic Businesses.